OMG Posters! 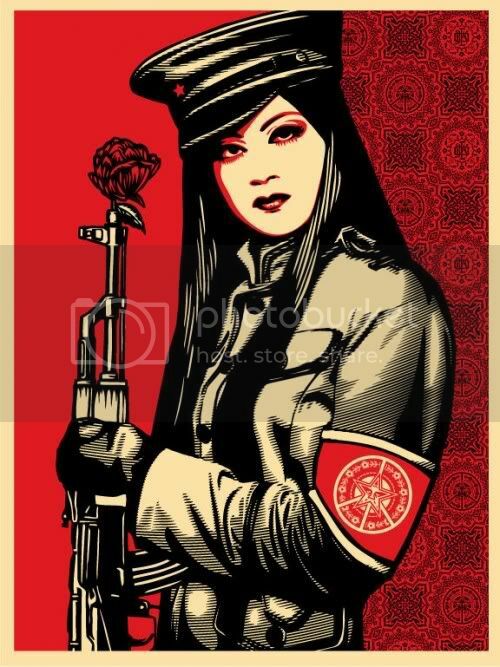 » Archive Shepard Fairey's New "Peace Guard" Art Print (Onsale Info) - OMG Posters! The newest Obey art print is actually a fairly interesting one. “Peace Guard” is an 18″ x 24″ screenprint, has an edition of 450, and will be $50. It is a collaboration between Shepard Fairey and photographer Kai Regan. Cool to see him crediting photographers these days. This will drop sometime during Wednesday, December 3rd. Keep your eyes on ObeyGiant.com. it looks alright, nothing to rage about. Looks cool. I shall refrain from raging. I HAVE NOT YET DECIDED WHETHER OR NOT I WILL PURCHASE THIS. well, missed out on that one !